The Court of Appeal has ruled in favour of Mr Alfred Agbesi Woyome in an application seeking the Court to set aside some adverse findings in the Judgement Debt Commission’s report. The three member panel presided over by Justice Victor Ofoe in their submission was of the view that the sole commissioner failed to give the applicant a fair hearing leading to a breach of natural Justice. He said it was unconstitutional not to have given Mr Woyome an opportunity to appear before it, after he was found to have illegally received payments as judgment debt, before the commission made the adverse findings against him. Justice Ofoe explained that since the Judgment Debt Commission moved beyond examining records of payment, to assess circumstances leading to the payment, it should have invited the businessman for his side of the story. 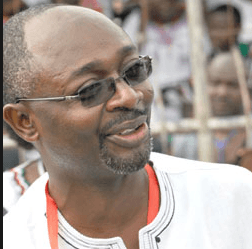 Mr Woyome received some GH¢51million as judgment debt from the state which the Supreme Court ruled to be illegal and ordered him to pay back the moneys to the state after establishing that the manner in which the payments was made was a scheme by the perpetrators to create, loot and share the resources of the state. Justice Appau, who was the sole commissioner of the Judgment Debt Commission, submitted its findings to the government in May 2015 and pointed to some breaches in procedure and law by government and public officials which led to causing various financial loss to the state. It reported that the monies paid Mr Woyome was fraudulently made, but Mr Woyome in June 2016 went to the Court of Appeal arguing that the Sole Commissioner erred in fact and law in reaching such a conclusion. His lawyers, also accused the Commission of breaching the rules of natural justice by failing to offer him a hearing before making the findings against him. He also requested an order setting aside findings of the Sole Commissioner against him and further prayed the court, to order the Attorney-General to expunge findings and decisions captured in the government’s White Paper based on the Commission’s findings.